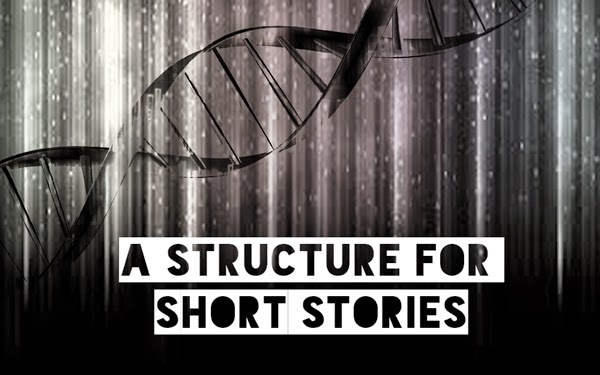 I was going to take a break from talking about story structure but I came across a fabulous post by Chris Winkle over at Mythcreants, “Outline a Short Story in Seven Steps,” that I have to share. I encourage you to head over to Chris Winkle’s site and read his article for yourself, what follows is what I’m going to call ‘a creative summary.’ Inevitably, I’ve filtered his ideas through my own point of view. One of the results of this is that CW’s seven points have blossomed into nine. This problem will be the central conflict of the story. I like to think of this as ‘the engine’ since this is what drives the story forward, as well as what will initially grab the reader's curiosity. Additionally, this problem is what propels the protagonist to action. Great advice! I’m realizing why so many of my short stories morphed into novellas or novels: I have the habit of using problems that are much too big. CW (wisely) advises us to follow KISS (keep it simple ... silly). We’re trying to write a short story, so don’t describe anything that isn’t integral to the story. 3. Answer the question, Why does this problem matter to this character? Humans are ruled by their curiosity. Yesterday I was watching a recording of a live performance and the only thing I remember about it is that one of the people in the balcony had his jacket draped over the edge. I kept wondering, Will it fall? I know, this was completely trivial. It was just a silly old jacket. Even if it did fall the stakes were infinitesimal. Imagine how captivated I would have been if, say, the President of the United States were to pass underneath? If the problem is solved too soon, there is no story. So an obstacle has to be introduced, something that will keep the protagonist from quickly and easily achieving their goal. Character is revealed in adversity, so throwing a bunch of trouble at your protagonist is, all around, the best thing you could do for the story. Often the obstacle is introduced by an antagonist. That is, by someone who is very similar to the protagonist in that they have a strong, clear, goal. 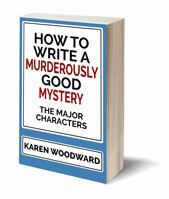 In the antagonist’s case, of course, this goal is in direct opposition to the protagonist’s goal. Let’s say the protagonist wants to go off to a college in a far away state in order to study environmental management. Their goal is to, eventually, preserve a patch of wetlands near their childhood home, one that is threatened by a proposed development. If this were the case then the antagonist would want exactly the opposite. The antagonist doesn’t have to be a villain. For example, the antagonist could be the protagonist’s mother, someone who wants to keep her child close, and safe, and cared for. Someone who doesn’t want them leaving for four long years. Or, if we wanted a villain, the antagonist could be an unscrupulous land developer who wants to build a shopping mall over the wetlands. CW advises us to include at least one try-fail cycle but no more than three. And be sure to show the consequences of this failure. That is, show the consequences for the protagonist and those he cares about. This is how one builds suspense. After the last, biggest, most devastating defeat something happens—perhaps the protagonist has an epiphany—and the hints you scattered in (6) finally come together in the protagonist’s mind. Note: Even if the protagonist will ultimately fail, your readers should still feel there’s hope. Whether the protagonist wins or loses should hinge upon a choice he makes. There isn’t much to write here because, to a large extent, what happens is determined by all that has gone before. CW didn’t explicitly include this step, and perhaps it is implicit in the above, but I’ll mention it anyway. Here we show the stakes being cashed out. We show how the protagonist’s world changes because he achieved his goal. If there were other main characters, show what happens to them. Also, if the antagonistic force was a character (sometimes it’s simply a ticking clock and time), show her receiving her just deserts. 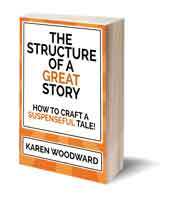 Today I'm recommending a book I wrote about—fittingly!—story structure: The Structure of a Great Story: How to Write a Suspenseful Tale! That’s it! If you haven’t, I recommend reading Chris Winkle’s article in it’s entirety. He scattered links throughout, links which lead, like magical breadcrumbs, deeper into a dense maze of captivating articles.